Hi there Design Improvisers! My name is Amber Kemp-Gerstel and I blog at Damask Love, where I keep busy with pretty much anything that you can make with paper! Haeley and I recently “met” through the fabulousness that is Altitude Summit and decided that we should do a little takeover on each others blogs! So here I am – hijacking this place for a day! I hope you don’t mind! The project I have for you today is one that speaks to my own love of papercrafting and Haeley’s knack for home decor. The idea came to life as I was wandering through the aisles of Ikea…which I do far too often…and found a pile of lamp shades on sale for $2.00. Now, I know we just met, but one thing you should know about me is that I love a deal. And if I see a pile of $2.00 lampshades, I’m gonna buy them now…ask questions later. 3) An awesomely inexpensive lamp shade! 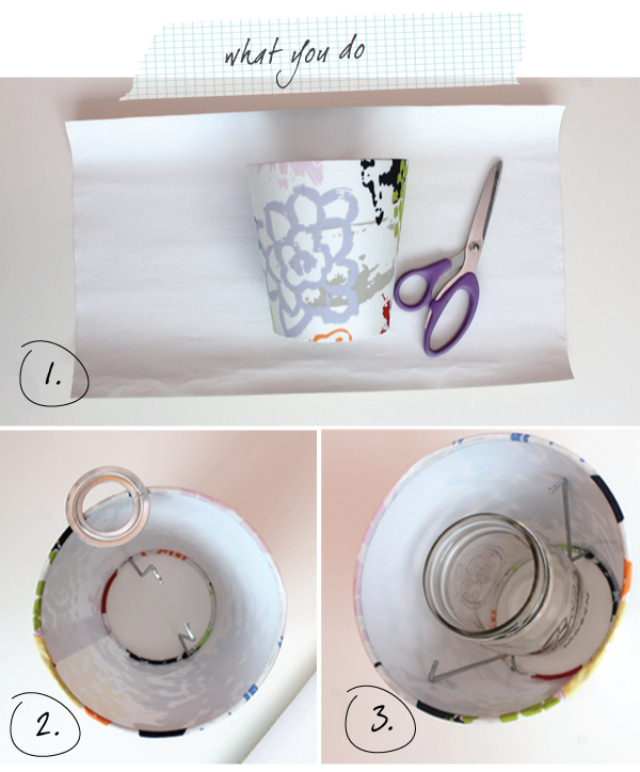 1) Trim your wrapping paper to size so that it will wrap around the lamp shade. 2) Remove the metal ring from the lamp shade that is meant to hold the shade onto a lamp. 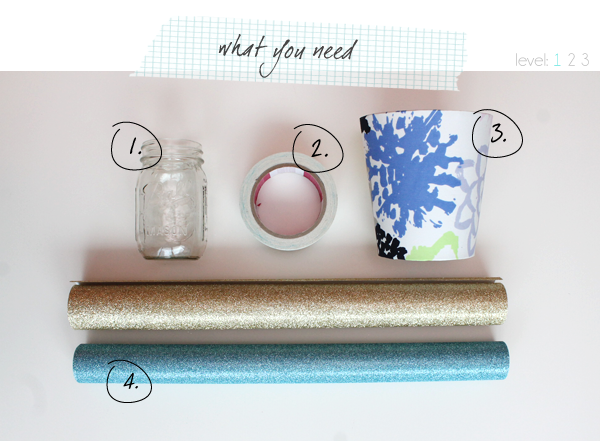 3) Spread the metal prongs apart so that the mason jar (or glass container) will fit inside the shade. 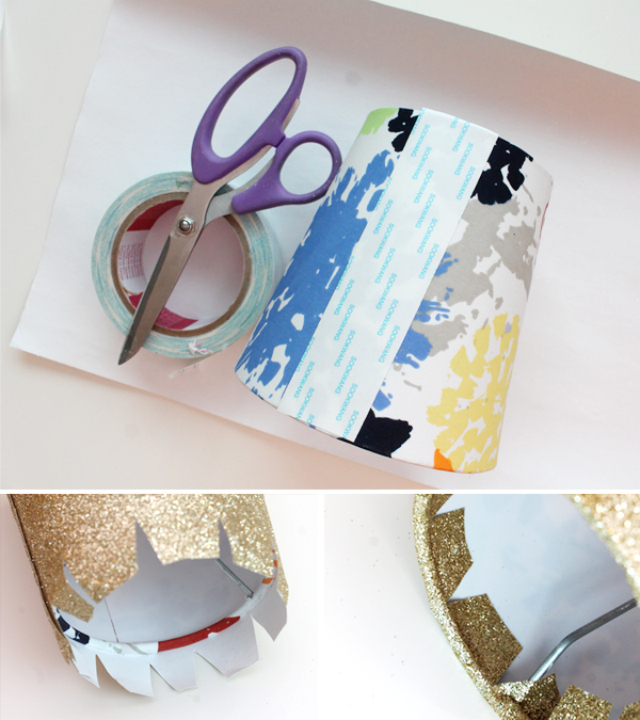 Lastly, you will wrap the lamp shade, using the Scor-Tape to adhere the glitter wrap into place. Cut notches as shown on the bottom and top of the paper…this will make it lots easier to fold the paper over the edges of the shade. And with that – you’re all done! Super simple and packs a punch. 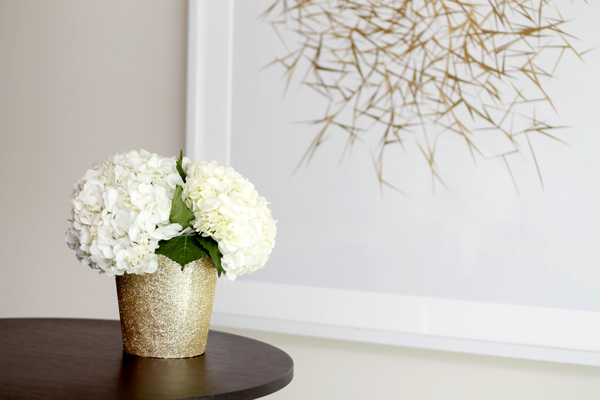 With the holidays upon us, we can all go for a little sparkle in our home, right? 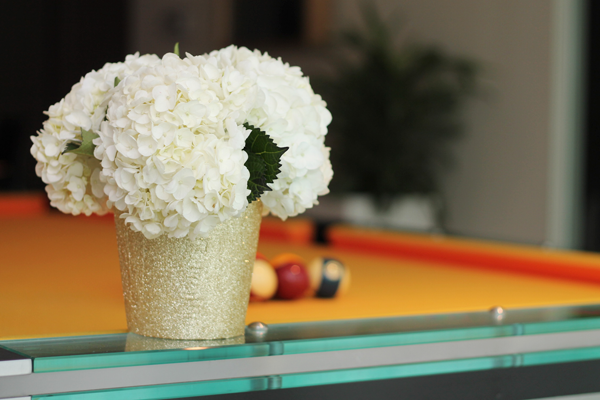 I think this “vase” would look fantastic filled with bold red poinsettias! Unfortunately, I’m allergic to them, so these pretty hydrangeas will have to do!